Our multi-year, multi-project efforts to improve the journey for train commuters by enhancing rail operations, maintenance and engineering are seeing steady results. This is thanks to close and constant collaboration and cooperation with our counterparts from the Land Transport Authority (LTA) and the Transport Ministry. Our joint efforts in renewing the North-South and East-West Lines (NSEWL) – Singapore’s oldest, longest and most heavily-used MRT lines – alongside the push to raise reliability on the Circle Line (CCL) and Bukit Panjang LRT (BPLRT) are well on track. About this time each year, we typically meet with media and analysts to report on our full-year financial performance. Following our delisting from the Singapore Exchange last October, we are no longer obliged to share on financials, but will nevertheless do so for our Trains business when our accounts have been audited. More importantly, we intend to proactively share on operational developments and report on the progress made in rail reliability and service-related journey matters. This is to keep our commuters informed on our overall progress with ongoing rail reliability efforts, update on work done in the past year and what to expect in the coming year. Our investigations have shown that the rail disruptions lasting more than 30 minutes that have inconvenienced commuters on the NSEWL are chiefly due to parts of the rail network that are awaiting replacement such as track circuits and ageing train parts such as propulsion, brakes and signalling equipment. Parts of the rail network that have been renewed are performing well. We are optimistic that in time to come, the rail transformation will give Singapore a renewed and much-improved MRT system. Using the 12 month average of Mean Kilometres Between Failure (MKBF) for incidents lasting more than 5 minutes as an indicator for reliability, as at 31 March 2017, the NSL and CCL have seen major improvements and are now at 180,000km and 282,000km respectively while the EWL has held steady at 145,000km. Compared with 5 years ago, this is a 3-fold improvement in rail reliability for our oldest lines, and almost five times for the CCL. This is the number of kilometres that we clock before incurring a single incident of service delay lasting more than 5 min. Naturally, the longer the interval, the better. Measured another way, what is also noteworthy is that the NSL achieved 200 days without a major incident on 18 March 2017. Meanwhile the CCL crossed 150 days without a major incident on 1 April 2017. For the EWL, unfortunately we incurred a service delay caused by additional time needed to complete the replacement of a switch rail during engineering hours between Joo Koon and Pioneer MRT Stations on 12 February 2017 when we were on our 194th day, and so we start the count again from zero. We are placing significant emphasis on managing down the number of such major incidents lasting more than 30 minutes because these are the ones that cause great passenger inconvenience when they occur. While these results are encouraging, we have still some way to go to be best in class in the world. There are a handful of other operators in the world belonging to this class, and we are determined to make the journey for commuters even better as we aspire to join the best in class. So this year, we aim to make an even higher stepped improvement, and do better than 300,000 km. By next year, we target to reach 400,000 km – in line with the stretched goals that the Transport Ministry has set, to be among the best in class in the world. Our effort to reach and sustain 300,000 MKBF is underpinned by five focus areas. These are: Structure, Asset, People, Process and Technology. We have revamped and strengthened the Trains organisation Structure with planning and resource management functions closely integrated with rail operations, maintenance and engineering capabilities. The multi-year, multi-project rail transformation effort will see our Assets renewed or upgraded, while improvements in People management will bring out the best in our engineering and maintenance staff who will be augmented by improved Processes and more extensive use of Technology to keep our rail network in good working order. These focus areas will sustain better reliability, availability and safety for our MRT network. Our push towards a reliability-centric maintenance approach will benefit commuters as engineering staff can intervene proactively to fix faults before they occur. At the heart of this effort is the increased use of condition monitoring devices and data analytics. This will allow our engineering staff to focus on preventive and predictive maintenance to detect, identify and fix emerging rail problems. When fully implemented, we expect to drive down the need for corrective maintenance. Our assets have mostly reached end-of-life, and others are in need of a midlife upgrade. This is not unexpected as this year we are marking our 30th year of MRT operations. Renewal works to upgrade and expand the network are timely and commenced a few years ago. We thank our commuters for their patience and understanding, knowing that we only have a limited number of hours each night for engineering works and need to stabilise the system in time for commuter service to run again at dawn the next day. When all our systems have been renewed, and with a comprehensive preventive and predictive maintenance regime in place, we can look forward to higher system resilience, and even better train reliability and availability. As at 31 March 2017, our train service availability rate stands at 99.89% for the NSEWL, and 100.00% for the CCL. In December 2016, we completed the change-out of all 188,000 wooden sleepers on the NS and EW lines. Speed restrictions have been lifted, and the ride is now faster and more comfortable. Track works on several other components such as the power rail are due for completion next month (May 2017) while the track signalling system on the East-West Line will be completed next year. The renewal of the power supply infrastructure for selected traction power substations is on schedule for completion in the next five years. To improve capacity, we have made good progress with the testing of a new signalling system (a Communication-based Train Control or CBTC system) that can shorten the wait time from 120 seconds to 100 seconds, thereby improving peak-hour capacity by up to 20% with the addition of more trains to each line. We now have 5,200 staff in Trains and had grown 6% from April 2016 to March 2017. We now have more than 400 engineers, almost double the number we had three years ago. We have ramped up professional rail specific training for our engineers to better manage the new and complex systems. To complement the training and development curriculum that SMRT Institute offers, SMRT continuously seeks partnerships with top academic institutions to train and develop a sustainable pipeline of rail engineers for the future. SMRT announced a collaborative effort with the University of Birmingham to offer the UoB -SMRT post-graduate certificate, the first of its kind in Asia, and has trained close to 200 of our engineers in its two runs last year. The Thomson-East Coast Line is open for tender and we have made a competitive bid with a focus on quality, reliability and customer service to operate the line when it is open from 2019. This year, the NSEWL will see a significant expansion with the opening of the 7.5km Tuas West Extension. We have already taken over the Tuas Depot and the four new stations from LTA, and have been working hard together with LTA to get the depot and stations ready to serve commuters in that area soon. We are keeping up with efforts on the Bukit Panjang Light Rail Transit (BPLRT), and note that it has achieved 40,000 MKBF as at 31 March 2017. 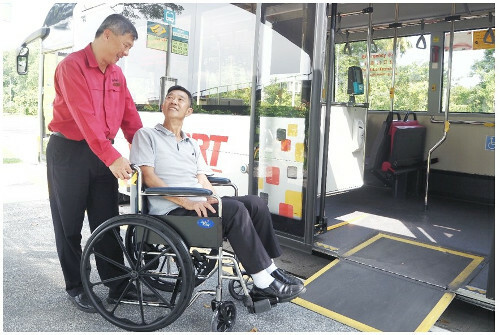 We are happy to hear that LTA is looking into the upgrading and renewal of assets for the BPLRT, and we look forward to working with them to improve LRT services for the residents in Bukit Panjang. 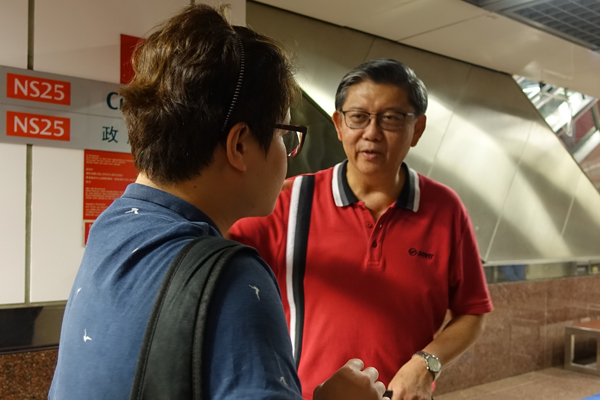 SMRT is also carrying out upgrade works to station facilities concurrent with ongoing rail renewal efforts, starting with a project to renew escalators across the NSEWL from now till 2021. 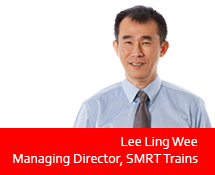 Last year we transited SMRT Trains to a new rail financing framework, and completed the privatisation of SMRT Corporation under Temasek. We have sharpened the focus on rail service and maintenance, without the burden of lumpy capital expenditures and short term earnings pressures. As we celebrate 30 years of MRT operations this year, we will continue our close partnership with LTA as we renew our commitment to rail excellence, and broaden our urban mobility portfolio to serve the end- to-end journey needs of all our commuters. Rail Report 2017 from SMRT Corporation Ltd.